cobrasc427 -- Oops I finally saw where you asked about the former Henderson, NV 428 that was sold and is now in Ohio. I do not know the status of its restoration. I understand your thinking, however I was referring to post # 104, and # 106, as to their opinion on the bars, that is why I had the idea to contact all owners, to see if "they" are living in their own little world, and not privy to this thread, going to the source, would hopefully solve the question. Not to be little your knowledge, but I would think it would be fair to say that even you don't know EVERYTHING there is to know on EVERY car. OK I'm going to make a thread suggestion after my post here in reference to this GT-E's taillight bars. I understand that there is always going to be opinions as to whether Ford made these bars, some other company or enthusiast. With that being said lets not muddy the waters on this GT-E any further it deserves that and accept the taillight bars for what they are, taillight bars. I mean no disrespect to anyone but I feel that the current owner has allowed an investigation and put forth some great information to prove that this Cougar is a true GT-E and not a re-body after being branded that way for years. I think we can all agree on this or at least I hope we can, that it's a great thing that another true GT-E has survived. 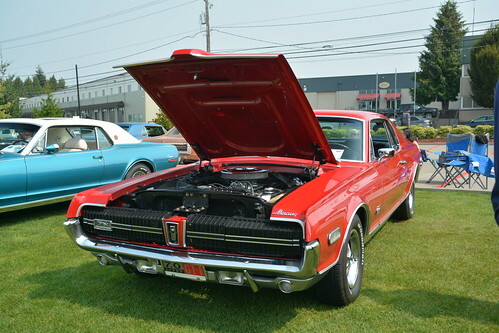 The taillight bars are something that just adds to this special Cougar, no matter how they came to be. 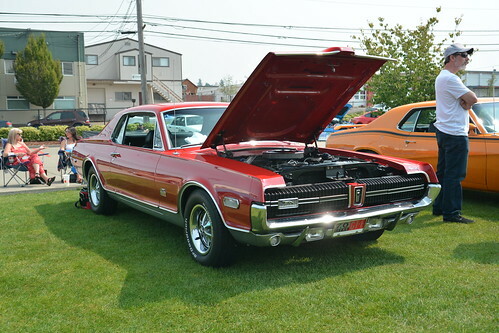 If this discussion continues and I believe it should, I feel that it should be done in a separate thread: XR7S Type Taillight Bars so it does not take anything away from this Cougar. I have started a thread and I will post all of the pictures and information that I have of the XR7S and XR7S inspired/style taillight bars. I will also post how I built mine as a DIY. Just my thoughts. cobrasc427 -- Well you are certainly correct I don't everything about the cars, that's for sure. Wish I did. One of the things I don't know is the current email address for every owner of record. I can poll those that I do know the address for, if I don't have a picture of the rear of their car which will answer the question first. If I find that anyone else has the bars on their taillights I'll post that. Sounds like a solid plan Jim, who knows, perhaps we'll find the smoking gun, or nothing at all. It's a shame you don't have an updated email address for everyone, perhaps all out there, should send in their info, so the registra is up to date. They are not castings. To me someone found a nice piece of extruded aluminum that worked. They cut the slots, attached them to the grills, and then glued the red reflective bars on them. If we can source the extrusion and the light bars, I think the owner would let me remove one and see if we can duplicate the cuts. I am a sheet metal mechanic by trade and they could be duplicated. Of note the car will be in Tacoma today at the Prowl. I hope Jim makes it to see it!!! The car is here at Prowl and Jim has looked at the car and spoken with the owner. I wish I could post pictures, but I’m getting error messages . Does the GTE 427 engine come from the factory with an aluminum or cast iron intake manifold?